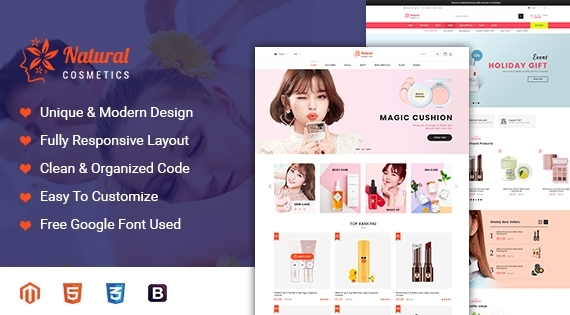 SM Natural - A Gorgeous and Professional Responsive Magento 2.3.0 Cosmetics Theme SM Natural is very flexible and easily customizable, it also comes with a huge number of latest features that helps you to build a successful eCommerce website. It will be is a great choice for cosmetics store, clothing store, beauty store, accessories store and much more. 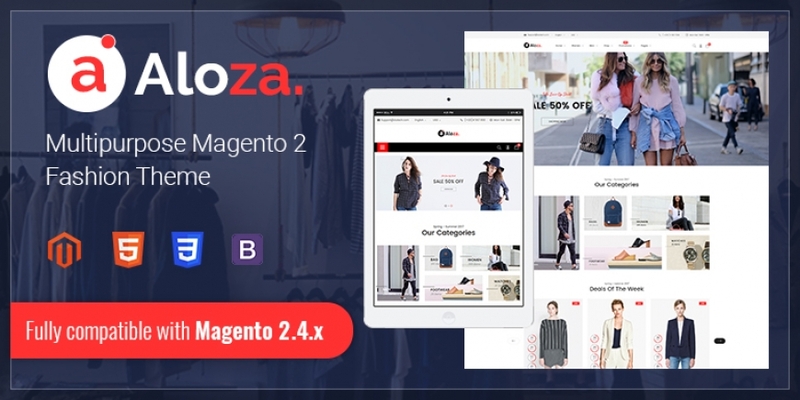 SM Shopee - A Clean and Professional Responsive Magento 2 Theme For Hi-tech Store Best Responsive Magento 2 Theme for online hitech eCommerce website. The theme is unique with the modern design, great colors combination and dynamic arrangement of promotional banners. SM Shopee is perfect choice for electronics, hitech, mega store, computer, digital, accessories, furniture and match any kind of store. How To Integrate Google Analytics To Magento 2 Store Website? Integrating Gooogle Analytics to your online website is a must-have task to catch more potential customers to visit your website. It collects to translate it into something useful for your business. Google Analytics for Magento is a free tool to monitor traffic and collect data from your website. So, why don't you add Google Analytics to your Magento store? Google Analytics not only lets you view your traffic stats, but you can also determine the level of user engagement of any page on your store which can help in improving the performance and optimizing your store's SEO. How To Add Google Font To Your Magento Themes From MagenTech? Google Fonts provides a large number of web fonts that anyone can use. It's an awesome service and one that many website owners should take advantage of. In this tutorial, we will guide you How to add other google fonts to Magento Themes from MagenTech. As you may know, MagenTech sells products including Prestashop, Magento, OpenCart, WordPress Themes & extensions on both our sites and ThemeForest MarketPlace. We're on top 100 popular authors on ThemeForest with a variety of themes, templates and plugins that're on top best-selling items. If you're using our themes and love their designs and features, you can earn money from them by joining Envato Affiliate Program. You can earn 30% commission per sale for a new registered user on the ThemeForest Marketplace. 2017 ended with many memories and feelings. MagenTech is grateful to all our honored customers for all your love and things you put on us. 2017 REVIEW To summarize this meaningful year, let's have a quick look to see what we had. SM Aloza - Straightforward and clean design to impress your customers in every visit. Its theme best fit for your premium online fashion stores and helping you promote your clothing business. Friday the 13th, considered by many as one of the unluckiest days of the year, is almost here again. What will you do to face this day? Well, some of us may just sit and do nothing until the day ends. However, it is just previous attitude. Control it your way in the modern life! Why are you scared of this day? As we mentioned above, one option is to stay tucked up in bed all day to avoid any potential Friday the 13th bad luck that may come your way, or alternatively, you could ignore the superstitious chatter and embrace it. We offer the second choice because for us, this is such a different day from the others. As a result, we make it special for everyone. Not compatible with PrestaShop 1.7? How to solve? Hi my friends, PrestaShop 1.7 is so popular today. However, not all of us know clearly about this newest version. Some of our customers get troubles of not compatible. Well, do you know that "PrestaShop version 1.7 is not really stable?". That is the reason why PrestaShop team has to do everyday to provide you with the best services as well as the best juice. The question is "How can we deal with this bad issue?". We will tell you in this blog.